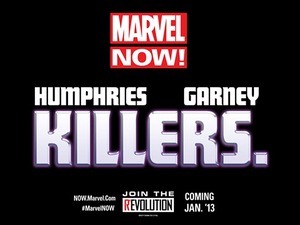 The good news just keeps on coming as Marvel Now sets up a couple Black Heroes in interesting and unexpected places. Black Panther joins the New Avengers/Illuminati in New Avengers #1 from Jonathan Hickman. Minorities are on the rise in Avengers #1 and now Storm is set to join Uncanny X-force under Sam Humphries. 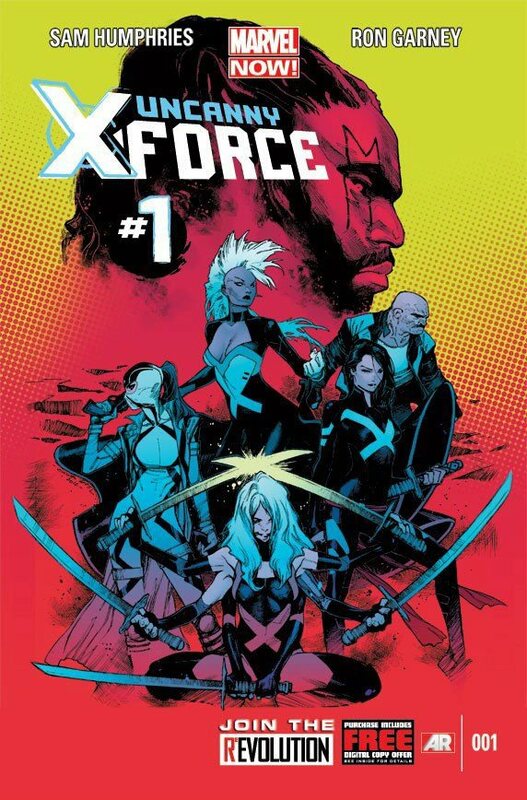 Unlike the post schism team she lead turns out it was the Utopia security team, Uncanny X-force are if the teaser marvel released is to be believed are full on slit your throat killers. What is Storm doing on this team? We will have to wait and see though she has been through allot the past few years; Married to the man of her dreams, subjected to hate and captured in Doomwar, relegated to token black on a team she used to lead after her marriage, a very brief stint as an Avenger and during Avengers Vs X-men pitted against her husband and had her marriage annulled. The lone tales in the last five years worth talking about in regards to Storm have been X-men worlds apart by Chris Yost and the X-men line post schism where she lead Utopia’s security team comprised of long time friends Psylocke, Colossus, Warpath and Domino. I highly recommend both to all storm fans! Marvel.com: Who do you have on the team? Do they all have blood on their hands? 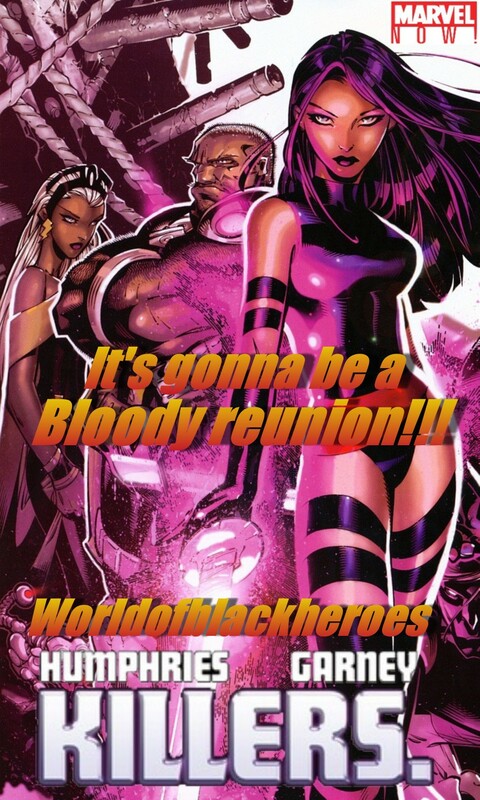 Sam Humphries: Right off the bat we have Psylocke, Storm, Puck, and Spiral, with more characters joining rapidly. Some of them have blood on their hands, but all of them have darkness in their past; darkness that manifests itself in all sorts of unpredictable ways. Marvel.com: Storm seems like the odd-one-out in this team, as she tends to see killing as a last resort. Is she here to keep an eye on the others, or do the events of AvX force a change in her attitudes? Sam Humphries: Odd one out? Don’t forget Storm is still the same person who ran off into the Tokyo night and reappeared sporting leather street wear and a mohawk! I see everyone in this book as a wild card, especially Storm. Without saying too much, the events of AvX creates a bond between her and Betsy that will take them into the events of the book together. Characters in Uncanny X-Force aren’t always going to be on the same page when it comes to killing. Same goes for some of the other bizarre surprises we have in store. We’ve got a wide spectrum of strong personalities and it’s been fun to decide where they stand on some core values—and how their positions could change over time. I love how he referenced her time with Yukio in Tokyo and if you look closely you’ll see Storm is back to sporting her way too cool and edgy Mohawk (I know many of you hate it). I’m dieing to see some development for Storm and this would be the perfect time for her to return to a darker more dominant personality. The carpet mentality is really getting old! Now the other part of this series I’m both excited for and loathing. The return of Bishop! You guys may remember that in my review for Avengers Vs X-men #12 Bishop neither made an appearance or was even referenced after the huge deal when he betrayed the X-men and tried to kill Hope. Marvel.com: The villain for the first arc is Bishop, who has been going through a rough patch since his days on the X-Men. Does Psylocke see him as someone she needs to stop or as someone she needs to save? Sam Humphries: That question is going to be largely immaterial as they try to dodge his bullets. Marvel.com: What about Storm’s relationship with Bishop? Reunited and it feels so good? Sam Humphries: Bishop is the man she remembers, but not the man she remembers. He was abandoned in the year 6300 AD. The dude has been alone, thousands of years in the future. A man goes through a lot of changes trying to get from 6300 AD to the present day. It is going to be an ugly reunion all around. What can we say? I’m sure I’m not the only person who holds Bishop to loads of nostalgia. First black X-man, potential love interest to Storm, Storm’s maybe grandson, Monet St. Croix’s maybe son, star of some of the most epic fox kids produced X-men episodes of the 90’s. The list could go on and on. 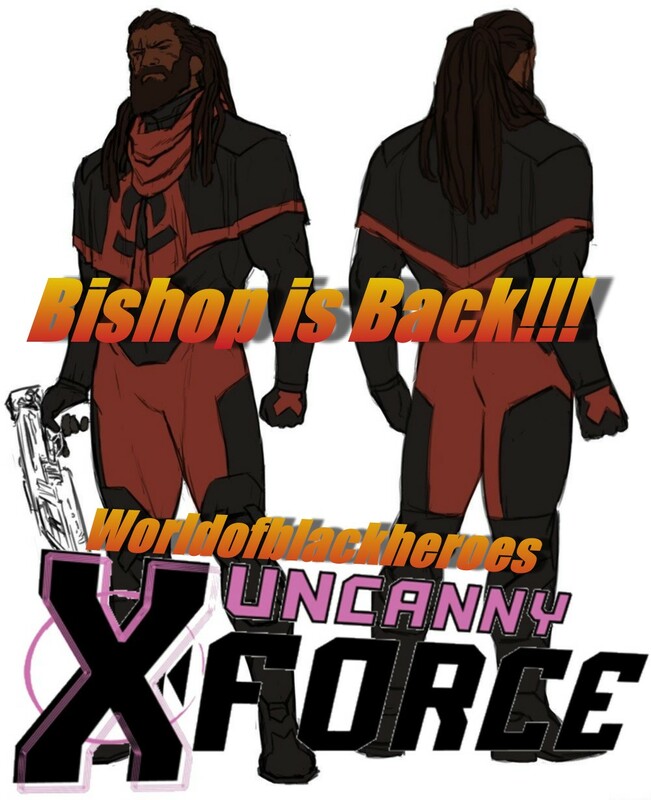 What’s clear from the interview is that Bishop who appears in Uncanny X-force will be very different than the man who was friends with Storm and Psylocke. His history with both characters if handled well could lead to some very emotional stories. Bishop followed Storm‘s lead after she and a few X-men broke away from Prof Xavier at the start of the new millennium to form the X-treme X-men. Psylocke was the one who was present when he found out Gateway was his granddad. Bishop and Storm both grieved upon her death and were their to welcome her back with open arms upon her resurrection. To say these three have been through allot together is an understatement. A major peeve of mine when Bishop went rogue was the X-writers lack of inflection for the team. No time was spent inside his teammates heads. I remember during Onslaught he threw himself in-front of a team killing blast to save them all, he had fought shoulder to shoulder with them for years and no one seemed remotely affected on a profound level by his betrayal? Also would Storm not have been the perfect person to appeal to Bishop‘s “kinder nature”? She was pivotal in helping him accept 20th century customs, could she not have talked him down or at least found out why he thought Hope needed to die? The Jury is still out on whether he’s really a villain or has more foresight than we realize. 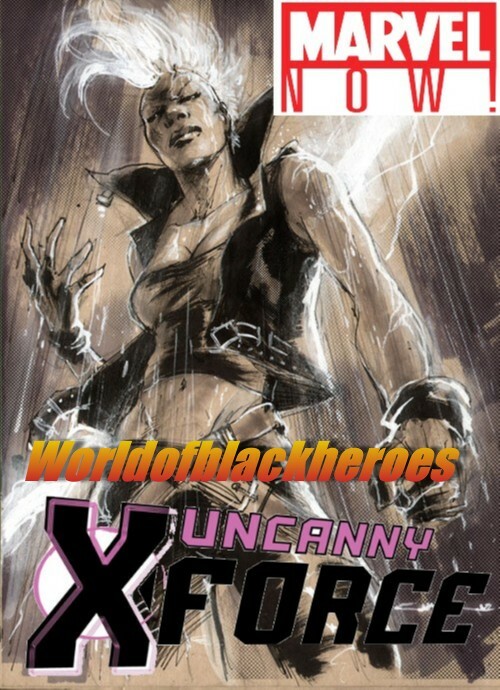 Anyway Guys are you excited or disappointed with Storm and Bishop showing up in the New Uncanny X-force? Sound off below of on our faithful Facebook page! Waow ! Storm got back on a punk style !